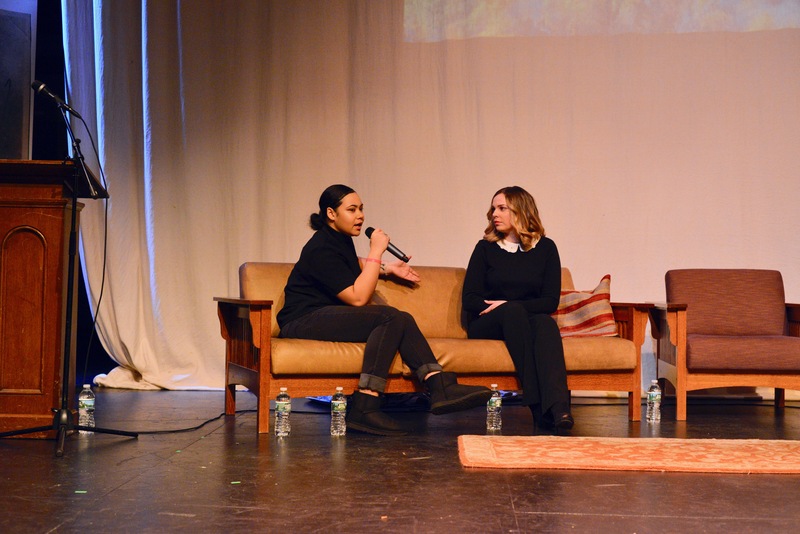 Incorrigibles partnered with Vera Institute of Justice to screen Alison Cornyn’s short film Incorrigibles, and to discuss girls’ incarceration at the New York State Training School for Girls in the contemporary context of mass incarceration and juvenile justice. 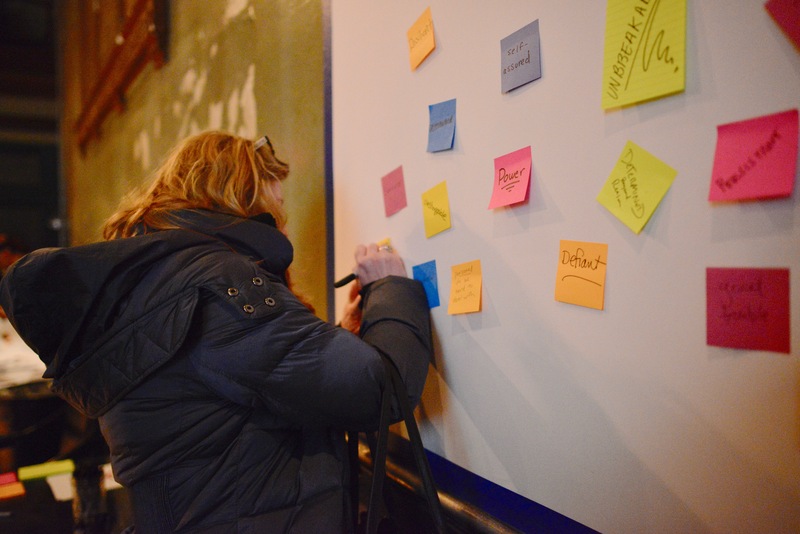 An audience of approximately 140 community members, activists, artists, and professionals attended the event at the historic theater. 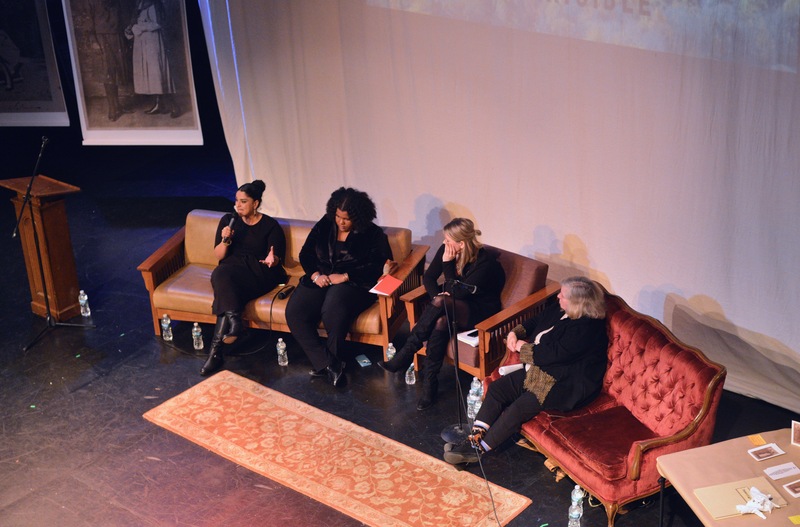 Following Cornyn’s film, an all-women panel of New York activists, historians, academics, and organizers discussed the parallels between Cornyn’s creative work and the realities that incarcerated girls still face today. An energetic and thought-provoking Q&A session with the audience concluded the event. Brittany Brathwaite is a reproductive justice activist, youth worker, and community accountable scholar with a deep-seated commitment for supporting the leadership, organizing, and healing of girls of color. She consults with the Vera Institute of Justice as a youth engagement specialist, co-coordinating the Youth Advisory Council. She is also a member of the New York City Taskforce on Ending Girls’ Incarceration. Brittany has worked with several organizations to achieve this vision, including: Sadie Nash Leadership Project, Guyana Responsible Parenthood Association, Rock the Vote, and Advocates for Youth. Currently, Brittany works as the Organizing and Innovation Manager of Girls for Gender Equity’s Movement Building team where she works to achieve gender and racial justice for girls and TGNC youth of color. She is also the co-founder and Chief Innovation Officer at KIMBRITIVE, a social start-up unapologetically working to educate and empower communities about sexual health, reproductive justice and everything in between. Brittany holds a B.A. in Women’s and Gender Studies from Syracuse University, and a Master of Public Health and Master of Social Work from Columbia University. Brittany is proud to callBed Stuy, Brooklyn home. Shawnda Chapman-Brown is a researcher and social justice advocate living and working in New York City. With particular focus on marginalized and vulnerable populations, she has broad experience developing as well as implementing research, monitoring, and evaluation materials both domestically and internationally. Partially based on her own experiences, her work has focused on racial justice and examining the ways in which youth of color get pushed into the criminal justice system. She is the co-director of the Beyond the Bars Fellowship Program at the center for Justice at Columbia University, and she currently serves as board chair at Black Women’s Blueprint, a transnational Black feminist organization that works to empower and end violence against Black women and girls through education, direct services, and research and political advocacy. 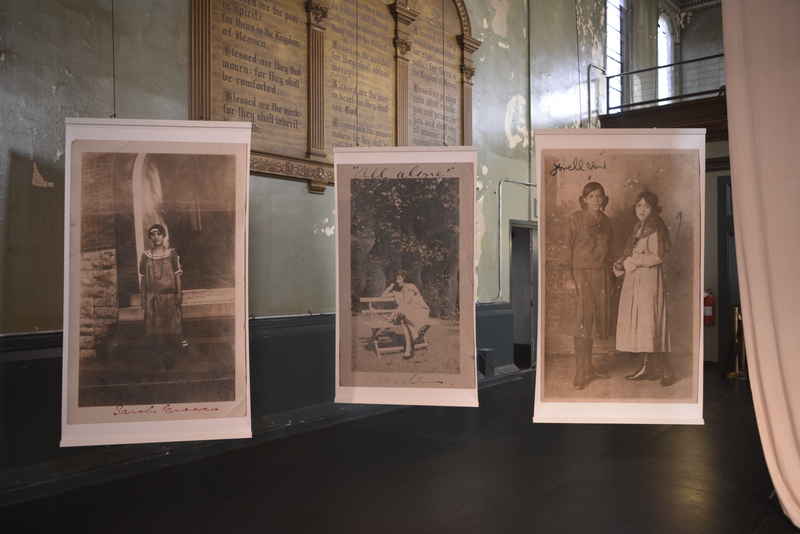 Alison Cornyn is an interdisciplinary artist whose work often focuses on the criminal justice system. Merging photography, media, and technology, she creates engaging environments, both online and as physical installations. She is a founding partner and the Creative Director of Picture Projects, a Brooklyn-based studio that produces in-depth new media projects about some of the most pressing social issues of our day, which it does through the investigation of complex stories from multiple perspectives. She has worked extensively on large scale collaborative projects and is Creative Director of the Guantanamo Public Memory Project, States of Incarceration at the New School’s Humanities Action Lab, the Prison Public Memory Project (co-founder), and Incorrigibles. Her work has received numerous awards including a Peabody Award, the Gracie Allen Award for Women in Media, the Online News Association’s Award for Best Use of Multimedia, the Batten Award for Innovation, the National Press Club Award, and the Webby Award for net.art. Cornyn teaches at SVA’s Design for Social Innovation MA program and has previously taught at NYU’s Interactive Telecommunications Program. Her works have been shown at public art and new media festivals including the Sundance Film Festival, Hot Docs, IDFA in Amsterdam, and the University of Michigan. Kathleen Hulser is a public historian focused on interpreting history to engage the general public. She has taught American Studies and History at Pace, The New School, CUNY and NYU. During her time at the New-York Historical Society she curated shows on Slavery, the Civil War, Life on NYC Rooftops and the Pets in the City. Her walking tours include Bad, Rad and Boho: Women in the Village, Run for Your Life, Mary Roger’s Neighborhood (Edgar Allen Poe and a murder in 19th century NY), and Noted and Notorious Women of Downtown NY. She is the curator of the NY Transit Museum. She works on interpreting the history of girls’ confinement for the Incorrigibles transmedia project. Assistant Professor of Applied Psychology, New York University Shabnam Javdani, Ph.D., is Assistant Professor of Applied Psychology at New York University. Her research aims to understand, prevent, and target health and mental health disparities for underserved youth and families, with a focus on girls and women involved in the legal systems. A central component of this work involves the design, implementation, and development of gender-responsive individual and systems’ advocacy for girls with attention to reducing racial and ethnic disparities that exist for girls, and particularly girls of color. Perez has worked as a bus operator for New York City Transit for the last 15 years. She was recently asked by MTA to become a Certified/ Line Trainer and Mentor. She has been a missionary for several years, traveled to other countries to serve the needs of others, and she was part of the 9/11 help team. Perez volunteers as a youth advocate at the Hackensack County Court in New Jersey. She was recently in Puerto Rico with a team of doctors and nurses to support disaster relief efforts after Hurricane Maria. 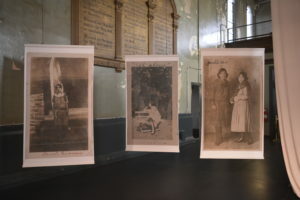 Perez has been involved in each of Incorrigibles’ public programs to date, including If These Walls Could Talk to Incorrigibles: A Sociodrama GirlPower workshop and performance with young women at the Hudson Opera House. Lillian Perez was formerly incarcerated at the NY State Training School for Girls in Hudson, NY in the late 1960s. She is the youth liaison for Incorrigibles. Senior Program Associate and Gender Justice Fellow, Vera Institute of Justice Lindsay Rosenthal is a Senior Program Associate and Gender Justice Fellow at the Vera Institute of Justice. Her work aims to prevent and end the incarceration of girls in America by reforming unnecessarily punitive law enforcement practices and creating pathways to long-term well-being, safety and justice for girls in their communities. Lindsay founded the Project for Gender Equity in Health and Justice, which implements public health solutions to violence and incarceration for girls and LGBT/GNC youth of color. 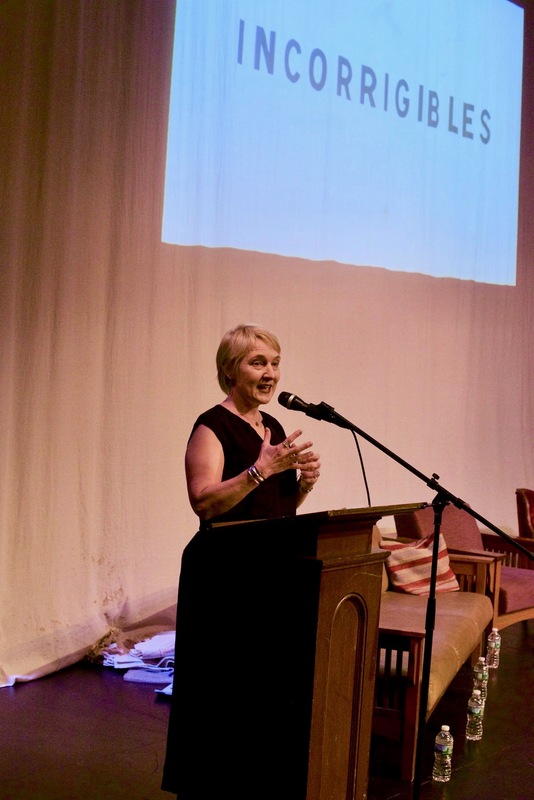 She also leads Vera’s Task Force on Ending Girls’ Incarceration in New York City funded through an award from the National Girls’ Initiative of the Office of Juvenile Justice and Delinquency Prevention. Prior to joining Vera, Lindsay was a post-graduate policy and advocacy fellow at the Ms. Foundation for Women. There she co-authored a groundbreaking report, The Sexual Abuse to Prison Pipeline: The Girl’s Story, which was published through the Georgetown Law Center on Poverty and Inequality in 2015. The report systematically exposes the widespread incarceration of girls of color in America as a direct result of their status as victims of violence. It creates a framework for understanding girls’ delinquency as a problem rooted in gender and racial stereotypes and our societal failure to protect girls’ safety, well-being and opportunity. The sexual abuse to prison pipeline framework has changed the narrative on girls’ incarceration in the United States and has become the impetus for national efforts to reform policies and practices that criminalize survivors of gender-based violence. Mariah is a 16 year-old activist from Brooklyn New York. She is a member of Vera’s Youth Advisory Council for the Task Force on Ending Girls’ Incarceration, and also a member of Girl Vow. Aside from her activist work, Mariah enjoys doing makeup and attending school. Mariah has professional experience working as a cosmetology intern at Good Morning America, and her career goal is to become a lawyer to promote a fair chance for justice for everyone. Nicholas Turner joined the Vera Institute of Justice as its fifth president in 2013. Under his leadership, Vera has identified core priorities of ending the misuse of jails, transforming conditions of confinement, and ensuring that justice systems more effectively serve America’s growing minority communities. Recent major initiatives at Vera include leading a delegation of policymakers on a tour of German prisons to learn from a system rooted in human dignity, working with corrections officials to shrink the number of people held in solitary confinement, and defining the role local jails play in mass incarceration through a first-in-kind data tool and related publications. Mr. Turner is the author of several op-eds, including “Finding A Home After Prison” in the New York Times; “What We Learned from German Prisons” with Jeremy Travis, president of John Jay College of Criminal Justice, in the New York Times; and “The Steep Cost of America’s High Incarceration Rate” with Robert Rubin, co-chairman of the Council on Foreign Relations and a former U.S. Treasury secretary, in the Wall Street Journal. Mr. Turner came to Vera from the Rockefeller Foundation, where he was a managing director. He previously served as vice president and chief program officer at Vera. Prior to his work with Vera, he was an associate in the litigation department of Paul, Weiss, Rifkind, Wharton & Garrison and a judicial clerk for the Honorable Jack B. Weinstein, Senior United States District Judge in Brooklyn. He is a member of the Independent Commission on New York City Criminal Justice and Incarceration Reform and the Advisory Board to New York City’s Children’s Cabinet, and has served on the boards of National Council on Crime and Delinquency, Living Cities, and the Center for Working Families. He received his BA and JD from Yale. Sarah Zarba is a program analyst with Vera’s Center on Youth Justice (CYJ). She currently provides programmatic support towards Ending Girls’ Incarceration in New York City, a federally funded initiative in which Vera is partnering with New York City to end girls’ incarceration locally and to create a model for ending the incarceration of girls around the country. As part of this work, Sarah manages the project’s youth engagement component, ensuring that directly impacted girls and LGBT/ gender non-conforming (GNC) youth have an opportunity to share their recommendations to reform New York City’s Juvenile Justice system. Sarah is also working on a project that supports the Virginia Department of Juvenile Justice (DJJ) to improve their policies and programming, in an effort to strengthen family relationships and support youth involved in the system. Sarah earned her Bachelor’s degree from John Jay College of Criminal Justice and is currently pursuing a Master’s in Social Work at Columbia University. 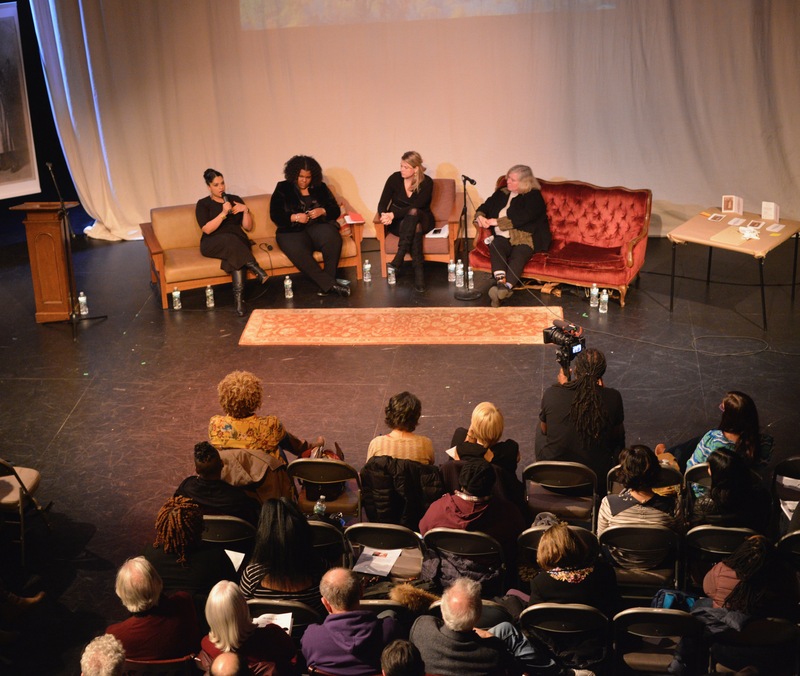 Funding for this event is provided in part by Humanities New York, the Brooklyn Arts Council, and the New York Foundation for the Arts. Special thanks to the Irondale Center for allowing us to use their unique and historical space for this event.